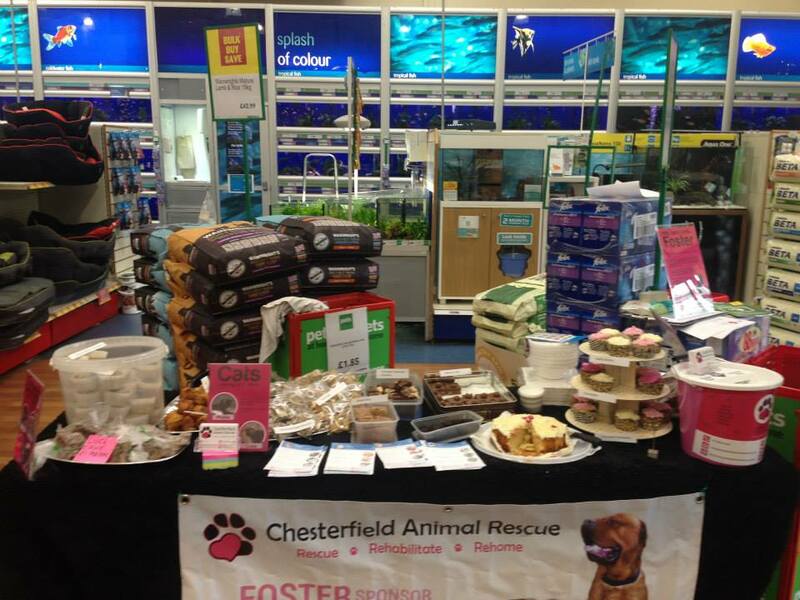 Read on to see just how successful our fundraising weekend at Pets at Home was. We’d like to thank Auto Windscreens for their support with a cheque for £250. 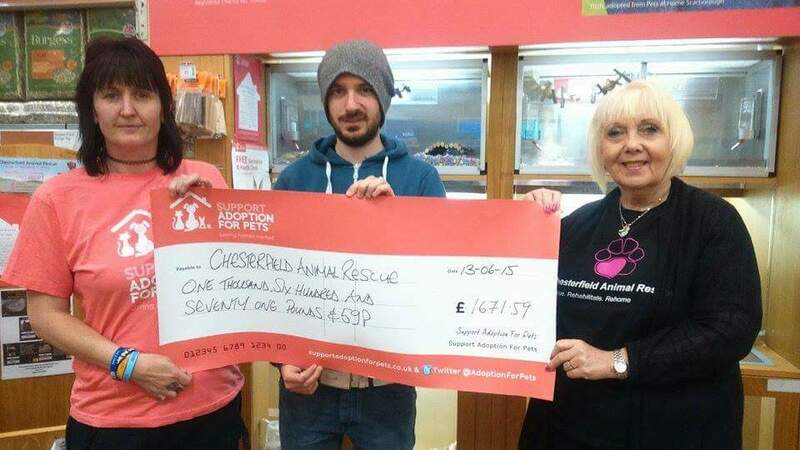 We were delighted to hear that we had been nominated for the donation and that our efforts to save the lives of dogs and cats is shared by others. 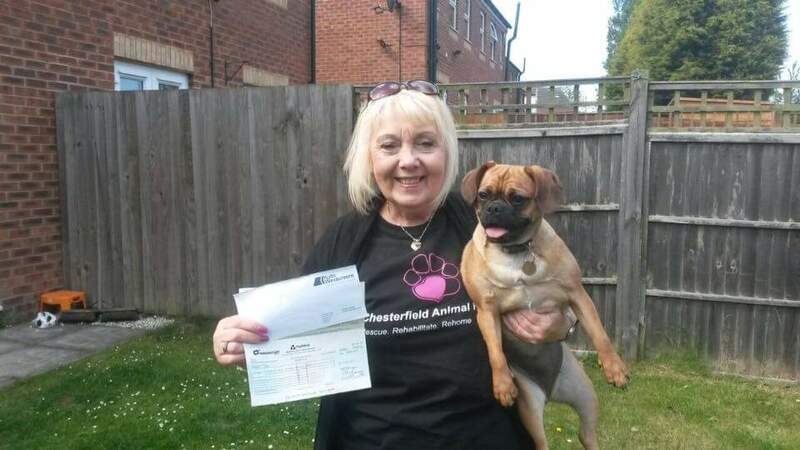 We received one of our biggest cheques to date at the latest Support Adoption for Pets fundraising event. Thanks to all those who volunteered on the stand, bought tickets or made a donation. 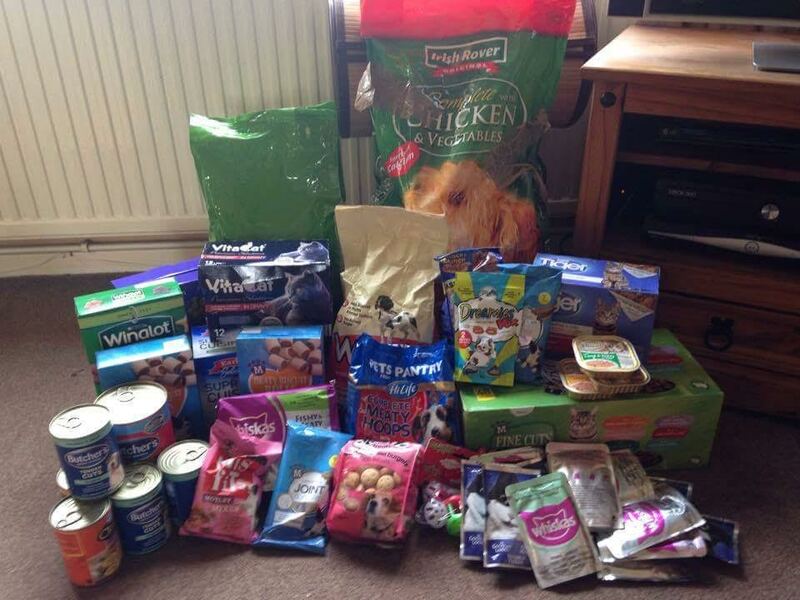 Tammy Carpenter of New Whittington Social Club very kindly organised a dog and cat food collection and we’re delighted with the generosity of those who donated. 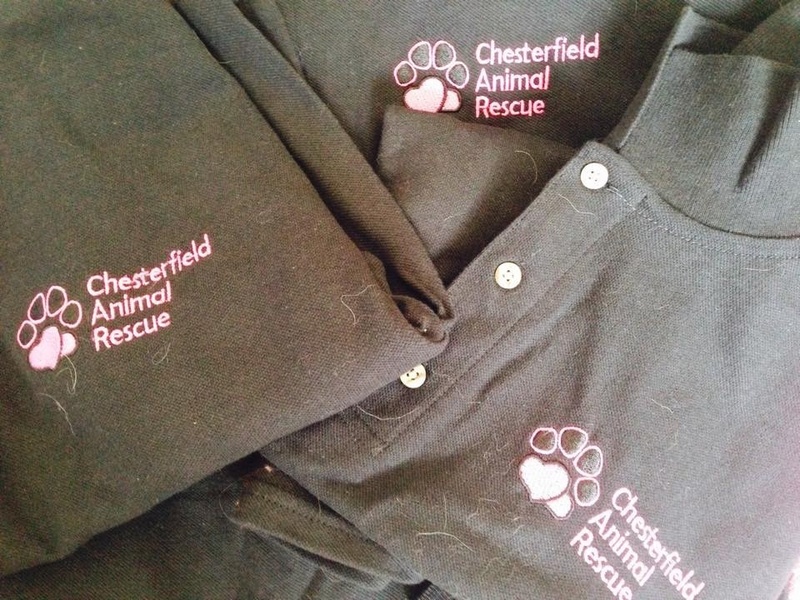 A huge thank you goes out to Pat and Michael Craven at Safer Safety Ltd for donating t-shirts with our logo embroidered on them.